You can cancel your subscription at any time you want through your Muvi CMS. Remember that, once you cancel your subscription, all your data including videos and metadata will be deleted after 14 days of cancellation. Hence, please make sure to export all your data before cancelling your subscription. You can then create a new account when you are ready. To cancel your subscription, go to “Settings"-->"Account Info” in the CMS. In the “Account Info” page go scroll down to “Cancel Subscription” section. Then click on “Cancel Subscription”. After clicking on “Cancel Subscription”, select a reason to cancel your account from the list. Finally, click on “Confirm Cancellation”. Your account will be cancelled. Muvi doesn't have any legal contract with its customers. Customers can cancel their subscription at anytime as per their wish. However, we will not refund the subscription fee that is already charged as we have a “No Refund” policy. 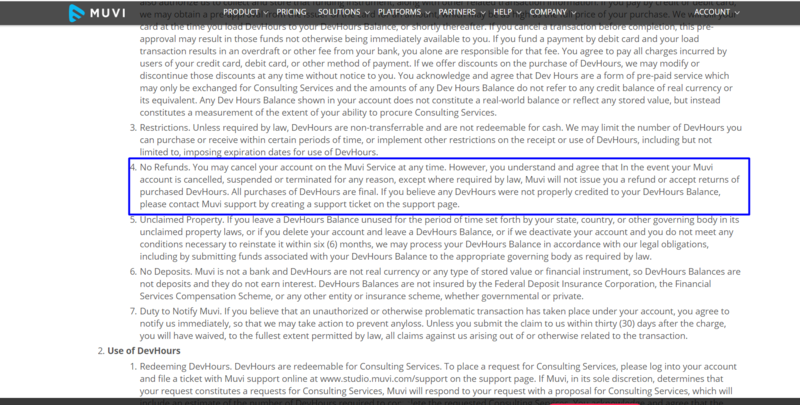 We strictly follow the no refund policy as we incur a fixed cost for hosting and storage (See Below Screenshot). To know more about our "No Refund Policy" please click Here.